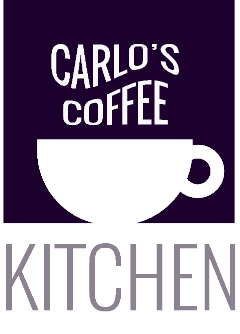 Ideally, for a Cafetière, we would like to use 7g of coffee per 100 ml of water for the best results. 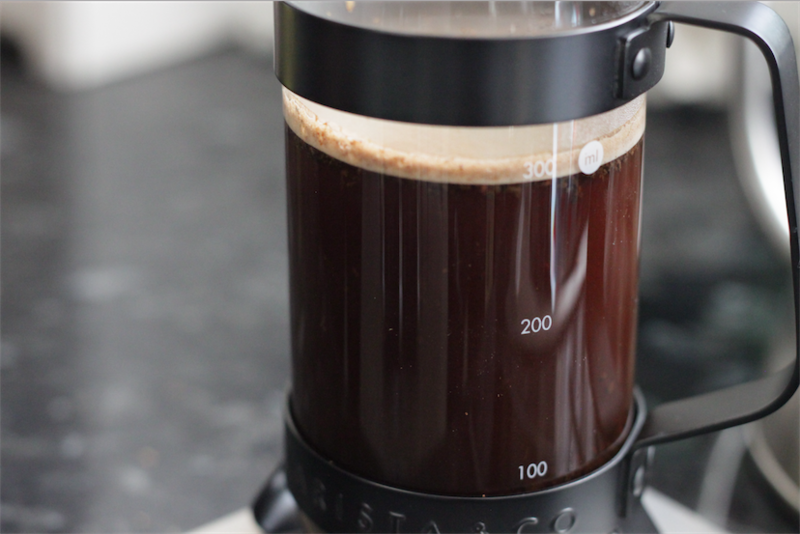 So, if you are using a 300ml mug, you would want 21g of coffee. Boil your kettle and allow the water to cool for 30 seconds. 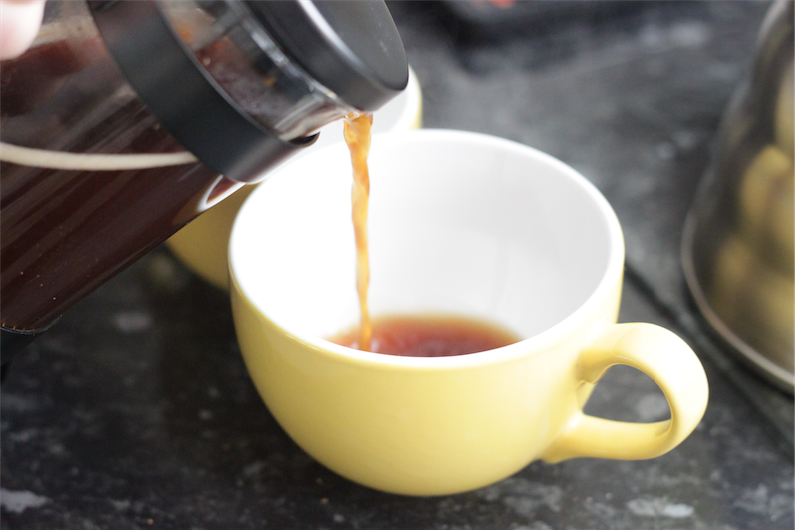 Pre-heat your Cafetière with boiling water, so your coffee doesn't cool too quickly. 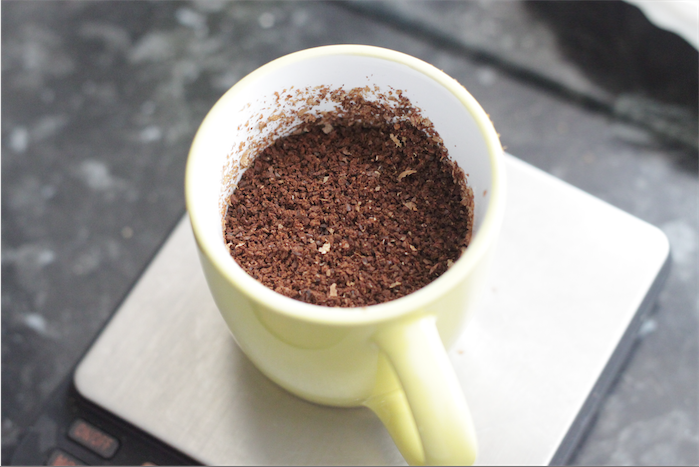 Grind your coffee very coarsely, as shown in the photo, and place into the bottom of the cafetiere. Pour water slowly onto your grounds, making sure that all of your grounds get wet in the process. Keep an eye on the amount of water you're putting in, whether you measure in grams or ml, ensure that you put in the correct amount. 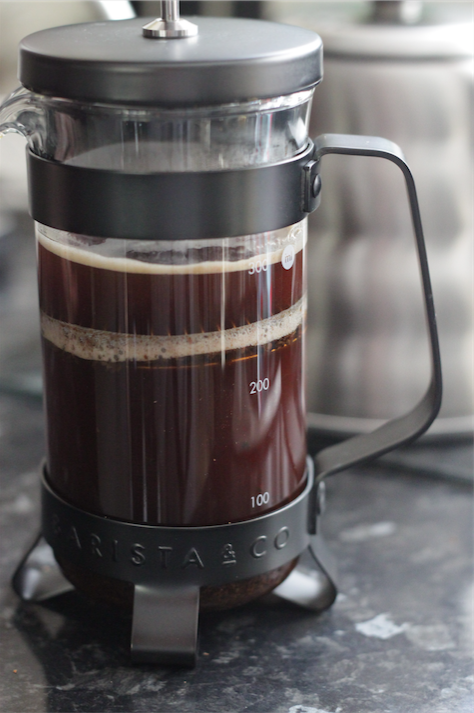 Once you have reached your required amount of water, stir the coffee gently, just to ensure all of the grounds are below the surface level and are brewing properly. Now, set your timer for four minutes, before pressing the plunger. When 4 minutes has finished, slowly push down the plunger. Pour into your mug and enjoy.